GIF memes are very popular on Internet. Most of the viral article blogs use GIF. Social media is also another place where you can see animated GIFs posted by various users. Do you also want to create animated GIF? In my previous posts, I posted about various tools which lets you create GIFs from photos, videos or screencasting. In this article, I want to introduce a nice video to GIF making tool ‘Video to GIF’ by watermark-software.com. 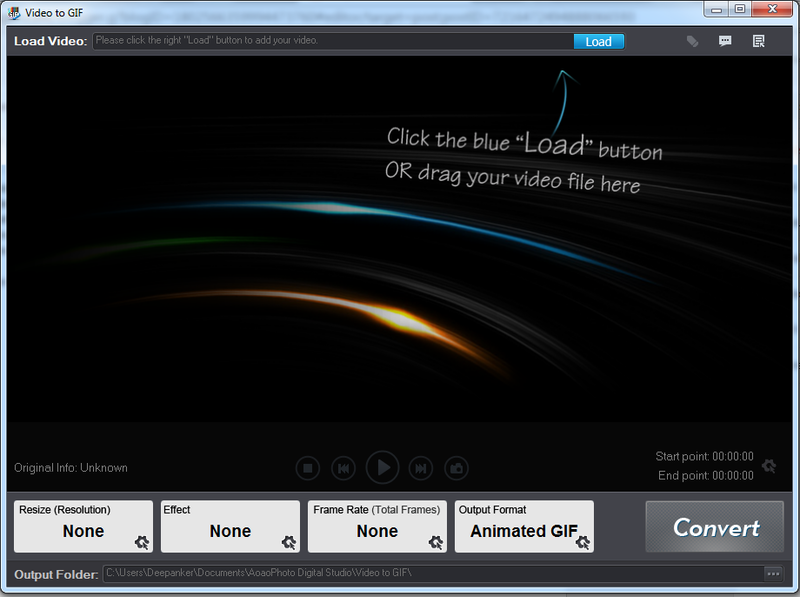 Video to GIF is a paid tool but free version is also available with limited features. This tool is not actually a video to GIF maker tool. This tool can also extract images from video. 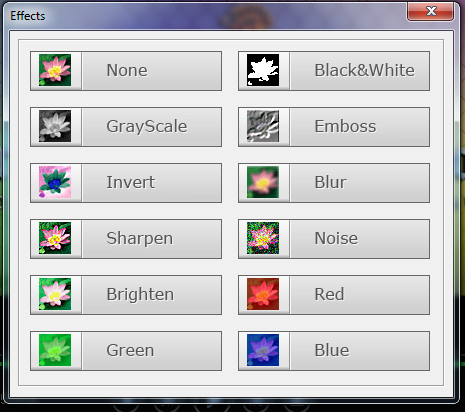 You can also add special effects (like Blue, Sharpen, Noise, Brighten, Invert, etc) to output GIF or images. Interface of the tool is easy to use. Everything is straightforward in the interface. At the top, you will see option to load the video which you want to process to create GIF or extract frames as images. Once you load the video, it will show the video in the built in video player of the tool. You will also see play, stop, next and previous buttons there. Just above this, you will see the slider to select the video part which you want to process. See the below snap. I just green line is for selected part of video. If you do not want to use slider, you can click on gear icon just above the Convert button. 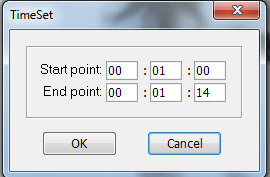 It will open a dialog to manually enter the start and end time. Now, see the 4 big buttons just below the video player. By default, it set the resolution same as it is in the video. 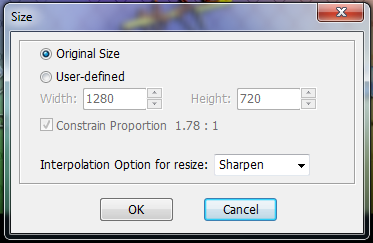 You can resize if you want the resolution of GIF or images different. This option is for selecting what out put you want. You can select it to be GIF or any other image format. For GIF, you will get that video part as GIF. 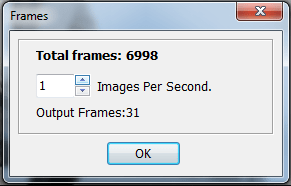 But for other image formats, you will get each frame as a separate image. To select the output folder, you can use the option at the below most side of the tool . Once you are done with selecting the options, you can click on Convert button to start the process. I tried this tool for both extracting frames and creating animated GIFs. It works awesome. It has easy to use interface I personally liked the effects which you can apply in images and GIF. Conversion process is also fast. It also supports Windows 10. So, you have a tool for latest platform. If you are looking for an awesome tool to convert videos to GIF or you want to extract frame for image, you can download this tool and start using it.